Bought: The Blackhouse, by Peter May. The action of this crime book takes place on the Isle of Lewis, where I went last summer. As I enjoy Scotland, I decided to discover this author. 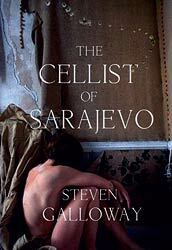 Bought: The cellist of Sarajevo, by Steven Galloway. This book had been on my wishlist for quite a long time but I never found it and didn't want to order it. So when I saw it, I just could not resist. Bought: Eat, Pray, Love, by Elizabeth Gilbert. I have only read good reviews of this one and I plan on watching the film when I have finished it. Bought: Bleed for me, by Michael Robotham. A book I noticed at the Salon du Livre in Geneva and put on my wishlist then. I cannot wait to start reading it! Bought: The accident, by Linwood Barclay. I am fond of Linwood Barclay and have most of his books. I was just waiting for this one to be published in paperback edition. Bought: The thread, by Victoria Hislop. I came across this one by chance and the summary made me buy it. Bought: My sister's keeper, by Jodi Picoult. This book was on a reading list last semester but I never had time to read it and it was not the one I had been given for the exam. Now that I have time, I will read it as the story seems extremely moving. I also bought the DVD, wich I will watch later. 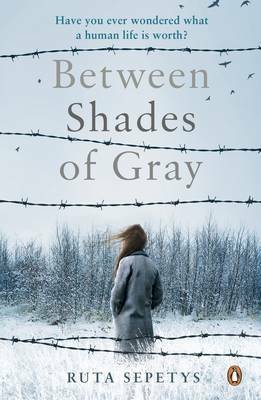 Bought: Between shades of gray, by Ruta Sepetys. One that was on my wishlist for a long time. When I tried to order it, everybody thought I was talking about Fifty shades of gray, which was definitely not the case. But in the end, I managed to find it! Avez-vous réellement pensé que c'était tous les livres que j'ai achetés pendant mon séjour en Angleterre? Bien sûr que non! Voici la suite de mes achats. Pour répondre à ton commentaire : Je lis en ce moment deux VO et un VF (mais un des VO est en pause et l'autre je commence.) Je lis rarement plusieurs livres VF en même temps. De ces livres j'en ai lu qu'un seul c'est eat,pray and love. Personnellement le livre m'as paru un peu "long" à certain passage, mais si non j'ai adoré le fait de voyager à travers le livre!